Since Richard Nixon signed the Endangered Species Act 45 years ago, the law has been credited with rescuing many species from the threat of extinction. 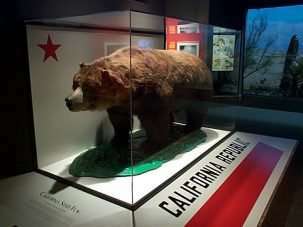 Among them: icons such as the bald eagle, gray wolf, grizzly bear, and humpback whale. 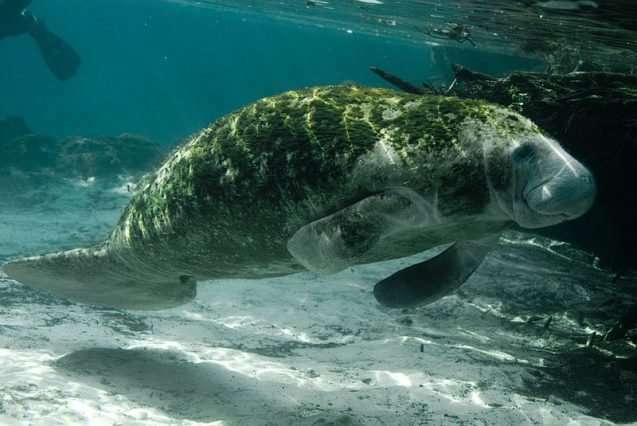 The Endangered Species Act (ESA) is "one of the strongest environmental laws ever enacted," says Michael Gerrard, an environmental law professor at Columbia's Sabin Center for Climate Change Law. "It has very substantial bite, and it's been responsible for the survival and recovery of numerous species." Yet now the ESA itself is under threat. The New York Times reports that in the past few weeks, more than two dozen pieces of legislation, policy initiatives and amendments designed to weaken the law have been introduced, voted on in Congress, or proposed by the Trump administration. Some of these proposals could have wide-ranging and long-lasting impacts on biodiversity in the U.S. Does the Endangered Species Act Work? Kelsey Wooddell, assistant director of Columbia's Earth Institute Center for Environmental Sustainability, said the efficacy of the Endangered Species Act depends on who you ask. "On the one hand, since there have been over 2000 species listed and only 47 recovered, that's not a great indicator," she says. "On the other hand, only 10 have gone extinct, so that's a good sign." While Gerrard calls the ESA "very powerful," he admits it's not perfect. And it certainly isn't universally loved. "The law has been pretty reviled across the West," says Earth Institute lecturer Lisa Dale, who used to analyze sage grouse conservation as part of Colorado's Department of Natural Resources. Habitat for endangered species is often concentrated in public lands across the western U.S., resulting in large swaths of land designated as critical habitat with limited access for logging, oil drilling, and other types of development. Dale says that although she'd like to see some changes to the ESA, "what the U.S. government is doing now is uniquely destructive." Attacks on the Endangered Species Act are nothing new. "The ESA has been under relentless attack for years from the construction and real estate industries, fossil fuel extraction companies, and others," says Gerrard. The difference now, he continued, is that with a Republican-controlled Congress and an anti-environment president, "this is their best opportunity in decades to try to weaken it." There are a few ways to weaken the Endangered Species Act. Some are through regulation and implementation; how the law gets applied is very much up to the Trump administration. For example, some proposed regulatory changes would limit the definition of an endangered species, as well as reduce protections for threatened species. Or the Department of the Interior could just slow the implementation the ESA, for example by delaying petitions to add species to the endangered species list. Such regulatory changes would be fairly easy for the next presidential administration to reverse. Another temporary way to weaken the ESA is through riders attached to appropriations bills. Some of the proposed provisions that are getting tacked onto spending bills would prevent the Fish and Wildlife Service from listing the sage grouse as an endangered species, and would lift ESA protections for gray wolves in the Great Lakes region. These addendums are the most likely changes to get through Congress, says Gerrard, since the Republicans don't have a 60-vote majority in the Senate, but appropriations bills often pass with objectionable provisions because other parts of them are essential. And although appropriations riders expire after a year, they could have long-term consequences. "If projects get built that destroy habitat, that's permanent," Gerrard points out. "Or if a species goes extinct while its waiting to be listed, that's also permanent." Changing the ESA through statutory law—meaning amendments to the Act itself—could have even further-reaching impacts. In particular, nine bills introduced by the Congressional Western Caucus could change the DNA of the Endangered Species Act and transform its character in ways that would be difficult for future administrations to undo, says Dale. Here are some of the most impactful changes the nine bills would introduce. Under the current law, the federal government cannot take economic impacts into consideration when deciding whether or not to list a species as threatened or endangered. "That was included for a reason," says Dale, "because the ESA's intent is to protect the species, not to put a price on the species." The proposed changes would allow economic impacts to be considered in deciding whether a species gets listed. It can be expensive to protect a species. Not only may the protection itself cost millions or billions of dollars, but under the current legislation, development in critical habitat can be limited. This can have harsh social and economic consequences. In the Pacific Northwest, for example, the listing of the spotted owl nearly shut down the region's timber industry and played a role in leaving behind many ghost towns. Similarly, the sage grouse and American burying beetle are obstacles for oil companies that would like to drill on the lands that overlap with mapped critical habitat. The proposed changes would likely make it easier to build roads, pipelines, mines, and other developments in areas that could be essential for a species' survival. Today, as soon as a species gets put on the endangered list, the federal government assumes authority for managing that species. This has long been a point of contention for states, says Dale. State and local scientists may have spent decades studying a species and helping to conserve it, and they resent having the feds swoop in and take over their life's work. "Many of these are dedicated scientists who believe they know more about the habitat needs of the species than the people in Washington," Dale explains. Two proposed bills would shift more power to the states to manage the species within their borders. One would make it official that feds must consult with states on listing decisions, which is a common but not required practice today. The other would allow the Department of Interior to enter into cooperative agreements with state and local governments; in some cases, those groups could potentially even take the lead on managing an endangered species. Dale says that while some of these changes could be useful and appropriate, "the proposals effectively create an off-ramp for the federal government to do much less to conserve species, instead deferring to states, which may not want to preserve an imperiled species or may not have the resources to do so effectively." Gerrard is also concerned. For states that favor fossil fuel extraction, "turning over implementation of the [ESA] to the states amounts to turning it over to the oil, gas, and coal industries," he says. Another of the proposed bills would mandate that decisions regarding threatened and endangered species could only be made based on publicly available data. While that may seem perfectly reasonable on the surface, says Dale, "the problem is that's not how science works." In some cases, scientists have spent decades collecting data about a species. It could jeopardize the scientist's life work to give away that data, and potentially open the door for mis-interpretation or erroneous application. "Just like companies get proprietary data, so do scientists," says Dale. In other cases, scientific data is kept secret to protect the species. In Colorado, for example, scientists have carefully mapped the breeding grounds, or leks, of the sage grouse. "They've mapped them to the square meter, but do not release the maps because of the sensitive nature of those locations. Curious tourists would go there. People who want to do mischief would go there," explains Dale. "But under this new proposal, that data would either need to be made public or not be considered." What Changes Does the Endangered Species Act Actually Need? Some of the reforms on the table involve supporting businesses and landowners who voluntarily take action to support threatened or endangered species, and Dale thinks these could be good changes. "Ranchers, farmers, and the oil industry do a whole lot of stewardship to conserve species, but they feel they don't get enough credit for that under the ESA," she says. "One of the drum-beats you hear is that voluntary action should count for more—that we should reward homeowners for performing conservation actions." The proposed reform would amplify Safe Harbor agreements, in which property owners agree to meet certain requirements for species protection in exchange for the promise that the government won't require any additional land management changes. The bill codifies these agreements in statute, to help protect and reward the individuals who uphold their end of the bargain. But overall, Dale thinks the package of proposed reforms would "send us down a pretty dangerous path in terms of biodiversity… It's scary to see it being gutted this way." She has other ideas for how the Endangered Species Act could be improved. For one, she'd like to see a more aggressive delisting process. Today it's quite rare for species to come off the list, but there may be ways to make the designation less permanent. For example, she suggests defining measurable short-term goals for species recovery. There could also be ways to get states more involved in the conservation process, says Dale. This is challenging because states can be wildly different in their capacity to manage endangered species; some are able to devote a lot of money and brainpower to ecosystem stewardship, while others cannot. Nevertheless, Dale thinks there are opportunities for the federal government to better partner with states on data collection, listing decisions, and formulating and implementing recovery plans. Gerrard points out that the Endangered Species Act has in some cases slowed down the construction of wind and solar power facilities due to concerns about bird and bat welfare. However, these renewable power facilities are critical to meeting U.S. climate goals. "I think we need more flexibility on the implementation of the statute," he says, "to allow these environmentally essential facilities to be built." Republicans in Congress are trying to pass these measures before the representatives elected in November's midterm elections take office, in case the Democrats take back Congress. A Democrat-led House or Senate will be less likely to pass legislation that weakens the Endangered Species Act. However, Republicans may face an uphill battle either way—the Endangered Species Act has traditionally garnered strong bipartisan support. If the measures do pass, there may still be a lag before their full impacts are felt. In the case of the sage grouse, for example, there are some 95 federal land management plans with sage grouse amendments regulating industry access to public lands across 11 western states. It's unclear what would happen to those plans if the bills get passed, says Dale. "My guess is those land management plans will provide a backstop for at least a little while."